Real Estate is my full time career. I enjoy working with buyers and sellers to help them make informed decisions and make the real estate transaction a good experience. Thanks Viv for everything. You were invaluable to us during our house purchase! Excellent communications and a tireless effort to find the right home for us! Only sold one house in fifty years.It was very easy to work with a person who knew what she was doing. Vivian Greene was very patient and thorough. She guided me through every step of selling my home. I highly recommend her. Vivian Greene is a very knowledgeable, experienced broker. She really has expertise in pricing your house, always goes the extra mile to keep you informed of what is going on and is always readily accessible for any questions or concerns you may have. In addition she gave me a list of contractors and moving companies that turned out to be affordable and totally professional. I would recommendation Vivian highly! Vivian was awesome to work with. She was very knowledgeable about the real estate market and the areas where we were looking to purchase our home. She was also very caring and showed a genuine interest in meeting every one of our needs for purchasing a new home. I would highly recommend Vivian's services if you are looking for a real estate agent who gives 110% to meet your needs and really cares about your happiness! We used Vivian's services during relocation from CA to PA. We are very grateful that we had her by our side, she made the home buying process an enjoyable experience that we will remember forever! Vivian Greene was a great agent. She kept excellent communication with us. And I really appreciated her attention to detail. She's a hard worker. Vivian Greene is a phenomenal real estate agent, a true expert in the field. Vivian helped my wife and I sell a home with numerous issues. She provided professional recommendations and contacts to resolve each problem. We were able to sell this home in less than a month. In addition, Vivian helped us find the house of our dreams by taking us through a home that was well above our budget. Through her vast knowledge of the Bucks County real estate market and home values she was able to negotiate a price that was well within our budget. She maintained constant communication and was available any time we had questions including nights and weekends. Lastly, Vivian assisted us in obtaining a renter for one of our properties. Having never done this before we relied heavily on her suggestions. She made this very stressful process seamless. We can not say enough about our experience with Vivian, we highly recommend her. Vivian helped me purchase my first house and we used her again to buy our present house. She is fun to work with, knows the area well and is very professional and knowledgeable of how to write contracts. She found us a neighborhood that we love. I always recommend her to all my friends and co-workers. Vivian is extremely helpful and knowledgeable. She only shows you homes that meet your specific criteria, puts your needs first, and is extremely patient with first time home buyers, or those who have completed several transactions. She makes herself available for the buyer. She has also sold homes for us and we were equally as pleased. I would recommend her to anyone! Vivian Greene has acted as our realtor in purchasing and selling two homes in the Doylestown area. She is extremely knowledgeable about the local real estate market and advised us wisely through both sales. Always responsive to our many questions, Viv spent time with us so that we felt comfortable and secure all throughout the processes. We appreciated Viv's professionalism, care and sense of humor. She helps make a stressful time manageable and we always felt she had our best interests at heart. My husband and I would recommend Vivian Greene without hesitation for your next real estate transaction. Vivian helped turn a stressful move into a smooth experience, which included multiple phone calls and document revisions. She is a true professional that is 'best in class' in what she does. 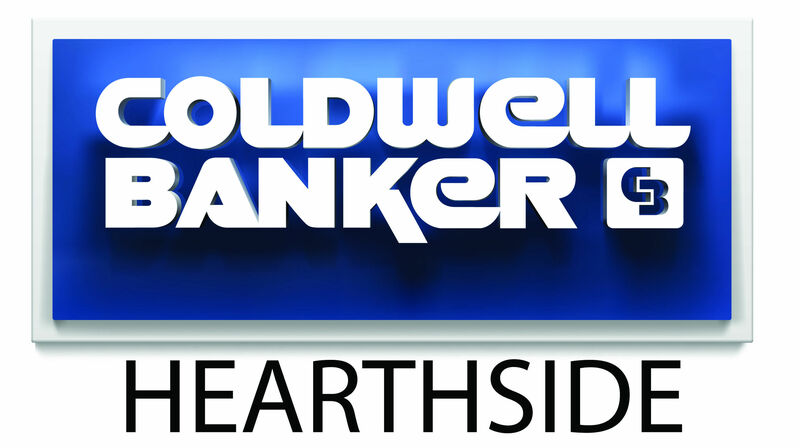 Coldwell Banker is lucky to have her on their Team! Buying and/or selling your home can be a very emotional time. We've dealt with Vivian Greene for a few of our purchases and was extremely pleased with her. Vivian's professionalism, knowledge of the market in her area and caring ways helped our family during the emotional transitions. We've bought and sold homes numerous times, but our last dealing with Vivian was unique. We needed to sell our home quickly since we had already purchased another home out of state. She devised a market plan and came up with a competitive price for our home. Within 24 hours, we had sold our home and felt relieved knowing we wouldn't be dealing with two large home purchases. Vivian negotiated the contracts and handled the inspections with ease. We would recommend Vivian to anyone moving into or selling in the Bucks County area.